As Marijuana Gains Legal Status, Can Employers Still Fire You for Testing Positive for Marijuana? After the 2018 midterms, three states voted in favor of marijuana legalization, with Missouri and Utah approving the drug for medical use, and Michigan approving it for recreational use. Additionally, states like Wisconsin and Illinois voted for several crucial medical marijuana and legalization measures. But, what does this mean for employees and employers when it comes to marijuana and the workplace? Will these new regulations make drug testing a thing of the past? Rob Wilson, President of Employco USA and human resources expert, says no. With this in mind, Wilson advises employers to become familiar with laws in their state that address drug testing. Wilson also says that marijuana regulations will be greatly dependent on an employer’s industry. 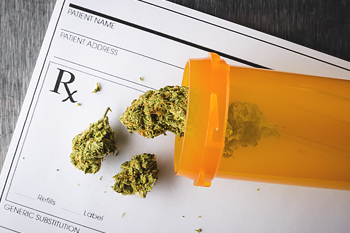 “Employers who contract with the government, who are in regulated industries (e.g., air travel or trucking) or with employees operating machinery have a greater ability to test, discipline and terminate an employee for the presence of marijuana,” says the President of Employco USA, a national employment-solutions firm that is based in Chicago, Illinois. Should an employee test positive for marijuana, Wilson says that employers should engage in an interactive process with the employee to determine if a reasonable accommodation is appropriate.